This fully stainless steel built in BBQ kit provides everything you need to build a built in barbecue in your garden – just add bricks and mortar! 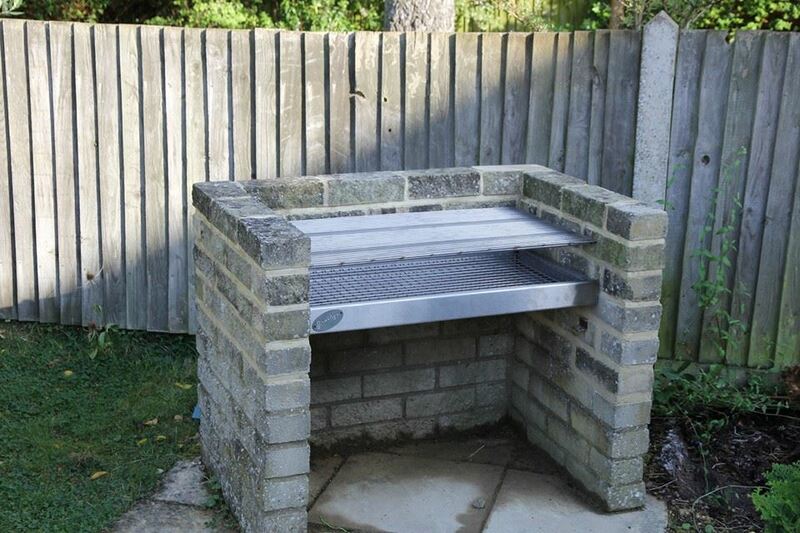 Available in any size, we can produce your barbecue to fit your brick structure, rather than the other way round. These built in bbq kits are made from catering grade stainless steel, this means that they will last the test of time, even when left out in the British weather! Our stainless steel built in BBQ kits are guaranteed for 10 years. If anything breaks, just send it back and we’ll fix it for free. Please allows 7 working days for production and delivery. A stainless steel ash pan. This ash pan has holes to allow rain water to empty. A stainless steel charcoal tray for optimal airflow. A 3mm stainless steel cooking grill. stainless steel pins (10mm diameter x 100mm long), 4 to support the ash pan and 4 to support the cooking grill. They can be manufactured to any size. Just select your required dimensions on the sliders below for your price. Most summer barbecuers will require an ash pan made from 1.5mm thick stainless steel. This is the perfect material for barbecuing with charcoal. However if you are wanting to cook on wood you may need to think about purchasing a kit with thicker stainless steel. Wood burns at a higher temperature than charcoal and if a 1.5mm bbq is subjected to extreme heat for prolonged periods it may warp, therefore you may want to consider the 2.5mm thickness. If you are unsure, please feel free to contact us to discuss your requirements.